SP Robotics Maker Labs across towns will teach your kids how to make robots and cool tech. And you can buy parts on their website too. Neither us nor our kids should wait until summer break to pick up a cool new skill. SP Robotics Maker Labs will keep your child occupied while equipping them with a new skill or few. Right from building robots and cool gadgets, to introducing you to the Internet Of Things (IOT), they can get a headstart to the future. There’s two ways to do this. 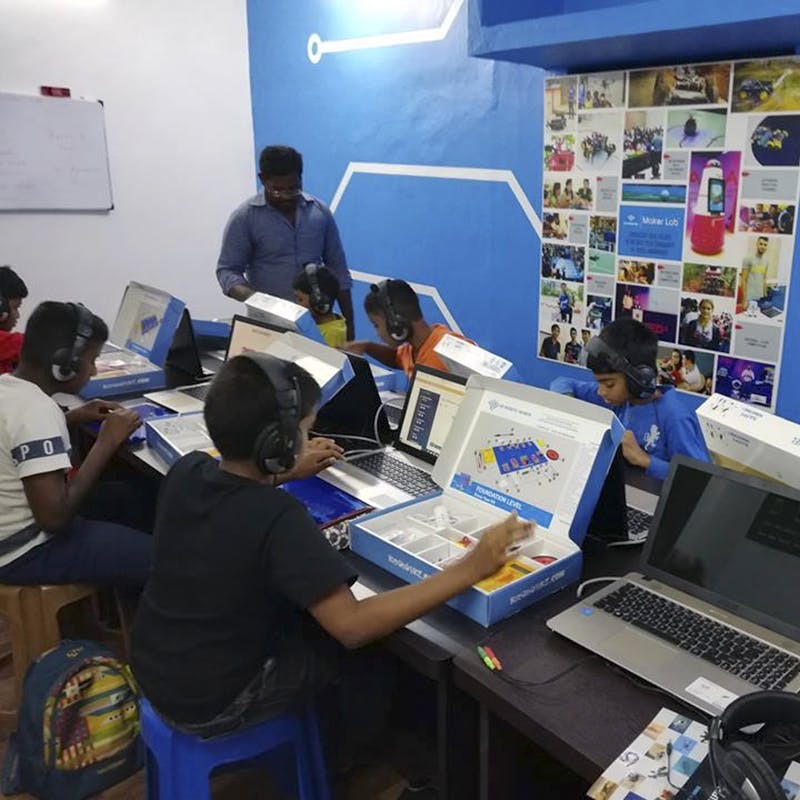 Either sign up for their classes and workshops at the centre closest to you (this is usually for children between six and 16 years old), or learn online. Either way, sign up on their website. If you’re looking to learn online, purchase the kits (the hardware will be delivered in a couple of days) as well as online course material (or learning kits as they call them) that ranges from a few hours to three weeks. These work for anyone who can read (so over the age of six).The advanced kits need basic knowledge in the field. The physical classes are meant for advanced learners. Why? Because they can sign up for events, workshops, and activities across the country and world! Be it competitions, or setting up real world installations, robots, and industrial systems too! Unfortunately, these are only open to children, so sign yours up and vicariously live through them. If you’re a tech enthusiast and need hardware, or extra parts, order those online to upgrade your bots and wireless tech (even the Raspberry Pi).